Ostensibly, one of the best things about reviewing stuff is getting free figures from manufacturers. Not that I would know for myself; in the first five years of this website I’ve never gotten a review sample. Personally, I think I prefer it that way; as nice as it is to get free stuff, they tend to come with strings attached, whether explicitly defined or merely suggested. I run this website purely as a hobby and as such I don’t like taking on unnecessary work or responsibilities. A few months ago, a representative of E2046 asked me if I would be interested in reviewing their figure of Thalia. I was a little hesitant to accept, being that I take great pride that this site is completely independent and is, at least in my perception, detached from the larger figure-collecting community, which is how I like it. 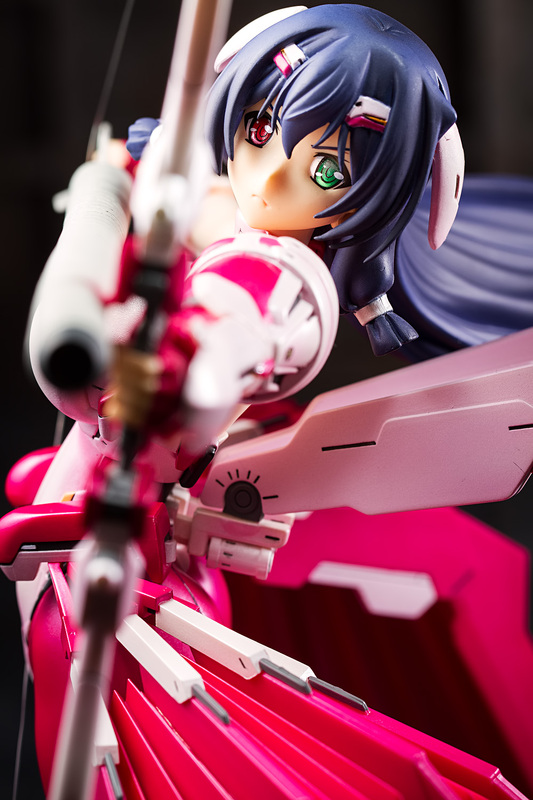 However, I find it difficult to turn down free stuff, even if strings are attached, and in this case, the only obligation I would undertake would be to photograph and review the figure, which I’ve been doing for years, anyway. Therefore, I agreed that I would review Thalia; they shipped me the figure and here she is. Despite its impressive array of attractive characters, there still aren’t that many figures from Kyoukai Senjou no Horizon. What few there are are distributed by a wide variety of companies, and that means that those few figures comprise a myriad of looks, styles, poses, and sizes. Further, for some reason or another many of those figures were not sold through normal retail channels. 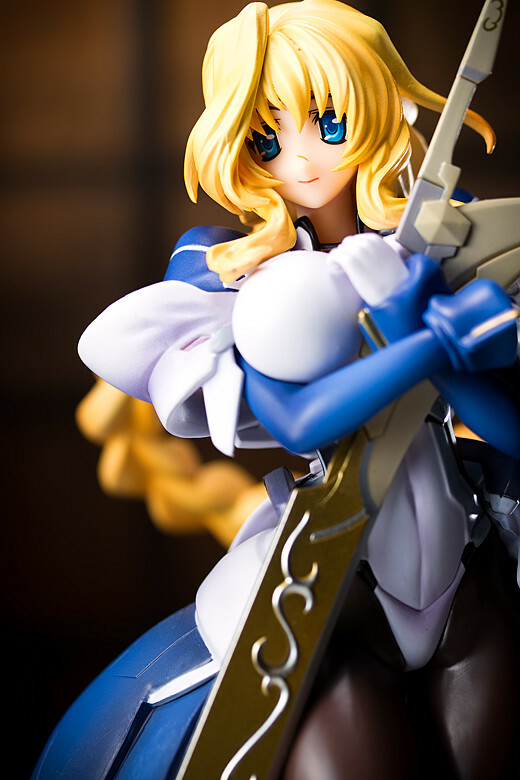 Such was the case for Mary Stuart; she was supposed to be a Dengeki Fan Shop exclusive or somesuch, but HLJ stocked this figure and that’s where I bought her from. That was a fortunate thing, as I wasn’t inclined to get this figure if I needed to put in a special order, but since I have her, let’s take a look at her. Continuing with the tight bodysuit theme, today we’ll take a look at Meiya Mitsurugi, the heroine from Age’s eroge Muv-Luv Alternative. 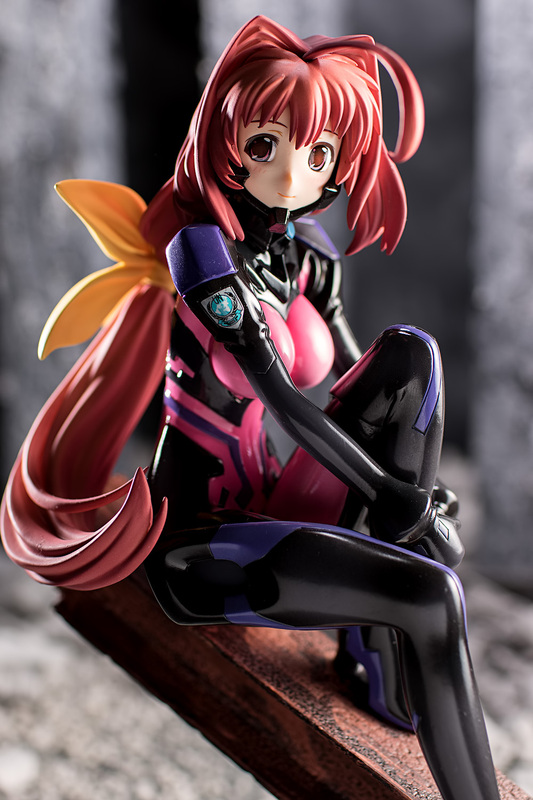 Kotobukiya, of course, has made a number of figures of the characters from Total Eclipse – quite probably the best-known property of the Muv-Luv franchise, thanks to its recent anime adaptation. It’s a little bit surprising that Kotobukiya has gone to the older title, since few manufacturers aside from Volks and Good Smile Company have ever shown interest in making figures of its characters. Nonetheless, I’m glad that they have, since its character designs are quite appealing, particularly because of their pilot suits.